MBDA expects Britain and France to sign an intergovernmental agreement by the end of the year to allow the legal transfer of technology and production, a key note in cross-border cooperation in a highly sensitive area, said Antoine Bouvier, chairman of the European missile maker. "The intergovernment agreement allows a necessary convergence," Bouvier told journalists Monday as he announced 2014 financial results and set out the major issues for the company. Airbus and BAE Systems each hold 37.5 percent of the company and Finmeccanica the remaining 25 percent. The bilateral agreement reflects four years of detailed, discreet work since the 2010 Lancaster House bilateral treaty, with MBDA taking on the role of "laboratory" for industrial specialization in the defense industry, Bouvier said. Under the specialization, four centers of excellence will be the base for research and development (R&D) and production of subsystems. 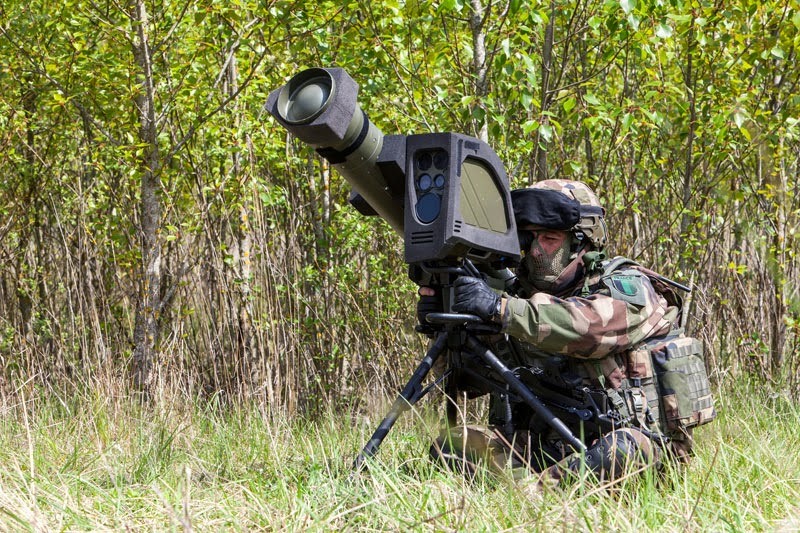 For example, the Lostock site, near Manchester, has just produced the actuator fin for the Missile Moyenne Portée (MMP), a medium-range weapon to replace the antitank Milan for the French Army, he said. There is also a British center specializing on datalinks. The Bourges factory, in central France, has a test bench for Brimstone, a British missile, he said. Another French site will specialize on weapons controller technology. Those are four of 12 centers of excellence that will handle the work share packages agreed on programs. That specialization concept aims to curb duplication in research and development and production of missiles in Britain and France, which are already close partners in Europe. New programs, notably the Future Anti-Surface Guided Weapon (Heavy), or Anti-Navire Léger, helicopter-borne missile, will be developed and built under that industrial specialization, while current programs will gradually be transferred to that system. That European duplication, which reflects a national insistence on retaining a defense industrial capability, handicaps MBDA as it competes with Lockheed Martin and Raytheon in world markets, Bouvier said. The US companies did not have the overlap of competences commonly found in Europe. The specialization accepted the principle of a certain level of "mutual dependence," he said. That goes beyond R&D and production, and includes a handover of export rights to the partner country and development of capability, which is a strategic issue. That export accord has yet to be fully tested. 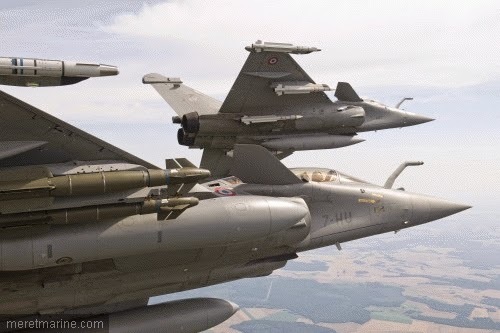 For instance, would the UK agree if France granted export rights of missiles to Argentina? a defense source asked. The missiles to arm the Rafale and multimission frigate for Egypt gave MBDA one of its biggest foreign sales in years, said Bouvier, who declined to give any details. The company expects a second large export deal this year. MBDA seeks the foreign orders to offset the fall in spending in Europe, with 2014 marking a low point in the company's annual sales, he said. The company posted 2014 sales of €2.4 billion (US $2.5 billion), down from €2.8 billion in the previous year. Orders edged higher to €4.1 billion, with exports accounting for €2.5 billion. The foreign sales exceeded domestic orders as seen in 2013 and 2012. The company booked orders of €4 billion in 2013. The total of €8.1 billion signaled a recovery in future sales, and boosted the total order book to €12.6 billion from €10.8 billion. MBDA hit its target of annual profit of about 10 percent of sales, Bouvier said. Poland and Turkey are two major export prospects with their respective tenders for air defense systems, he said. Italy is expected to sign an agreement this year on the Aster New Technology weapon as the Italian Navy wishes to arm its new multifunction, 4,500-ton frigate. That naval interest compares to the French Army's interest in the Aster, he said. The Aster NT would extend the reach of the current Aster block 1 weapon to hit ballistic missiles with a range of 1,000 kilometers. That compares to the block 1's ability to intercept missiles with a range of 600 kilometers.